NAME William "Bill" Patton, M.D. 2376 August, Promotion to Lt. from Ens. William Patton was born at a Lunar mining facility where he father was employed as a miner and his mother as a Computer Technician. He saw little of his father during his childhood. His father was always off chasing the next job, the next pot of gold at the end of the rainbow. He, however, had a very close relationship to his mother. She saw to his upbringing and education. As she moved from position to position, Bill learned each new computer system his mother was working on. By his early teens, he could operate any computer system, really make them "stand up and dance." At the age of ten, he learned that his father was killed in a bar-room fight on Mars. His mother died when he was sixteen, when the shuttle (returning from Earth) she was on was penetrated by a piece of debris in orbit. The shuttle was lost with all hands. Two weeks later, Bill presented himself to the Starfleet Marine recruiting station and lying about his age managed to enlist as a rifleman. Bill spent the next ten years in the Starfleet Marine Corps. Quite naturally he earned the nickname "Wild Bill". He found that he enjoyed the adventure and responsibility of the Service. His natural ability and intelligence lead to his rapid advancement. By the time of his resignation in 2396, he had attained the rank of Marine Captain with multiple qualification certificates and Awards. Many of the operations he participated in during his Marine service are still under secrecy seal. 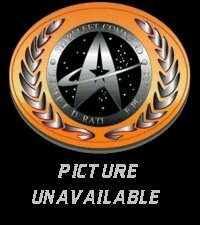 Details are available to those with appropriate clearance through the Commandant Starfleet Marine Corps. After a significant battle injury he meet and married his wife, Shania Townsend. She was a nurse at Starbase One. The two meet while Bill was recovering from wounds incurred during one of the many "peace-keeping" operations he participated in. For a couple of years Bill had been becoming more cynical about the role the Marine Corps was playing in "keeping the peace." He was searching for a way to improve the lot of the average Federation citizen, those who lived and died by the actions of an authority increasingly out of contact. The death of his wife the following year in childbirth, crystalized his resolve. He resigned from the Marine Corps. He took the qualifying exams for the Leonard McCoy Medical School on Mars and scored in the top ten percent. He was admitted to the medical school at full scholarship and graduated number eight in a class of two hundred. can call on when needed. William scored as high on the entrance exams for Starfleet Academy as he did for medical school. He was the oldest member in his class and because of his previous Marine service he completed the course work in three years instead of the usual four. Commander Patton is very open in social situations. He has a warm and welcoming manner. He loves teaching and training of his staff and anyone else that he can get to stand still long enough His only evidence of hesitation occurs with those whom he considers too "gung-ho" or too ready to spend the lives of their crew for too little gain. He is even more vocal about those who place career advancement above all else. Despite his service and life history, Bill retains a sense of promise, duty, and personal responsibility to leave things a little better tomorrow than they are today. He goes quietly about his duties, becoming agitated only with obstructions. Since the death of his wife sixteen years ago, he has immersed himself in his work and the dreams/ideals that she often expressed. He carries a small holo-projected program of her where ever he is posted. Even sixteen years later, Bill will find himself in tears when he talks about her and the son who did not survive his birth. He also carries a collection of real-paper books, mostly military history, and a small collection of antique firearms with him on his postings. There is a small walnut case containing all his Marine decorations which also accompanies him. Other possessions mean very little to him. They are only important in that they allow him to perform his job. Bill's one real recreational passion is hologaming famous military encounters of the past. He has become very proficient at programing these simulations. Some of his programs are used for training purposes both by the Marine Corps and Starfleet Academy. In his medical duties, Patton is very attentive and caring toward his patients. He take the death of any patient very personally. He has a warm bedside manner that rarely fails to thaw the most reluctant. His most focused field of medical research involves the integration of replicator/transporter technology with medical treatments. Commander Patton has no medical problems. He is in remarkable physical condition for a man of his age. It is the rare food or drink that he will not try at least once. This is only one of the influences that remain from his deceased wife. Patton has been tested by Starfleet and found to be one of those rare individuals who are "esper-blind". Meaning that telepathic/empathic individuals are unable to get any reading/influence from him at all. A battle injury lead to the loss of Patton's left arm, below the elbow. It was while recuperating from this injury that Patton met his wife. He has developed several types of prosthetics for his use, depending on the job at "hand." His cosmetic prosthesis is based upon the construction of Data's cybernetic systems and is indistinguishable from a biological arm except that there are no pain receptors. He does have a latent, unreliable, limited telekinetic ability. He is able at times to manipulate objects with his left hand, as if he still had a hand. The strength is limited to picking up a full shot glass. And as I said this is somewhat unreliable. He has not attempted any systematic training of this talent for fear that focusing on how he does it will cause it to disappear. He has no telepathic talent at all. posting aboard the USS HOPE and the combat duties of his Marine service Patton has emerged without any psychological scars. The deaths that he witnessed served only to increase his sense of duty. The enemy deaths for which he was responsible brought no sense of victory or satisfaction, only of regret that such actions were unavoidable. The death of his wife, at an early age, has had a great influence on Commander Patton's action since that time. Commander Patton has shown a remarkable ability to interface with various races and species on an equal and fair level. He is recommended for promotion and advancement without reservation." "I have commanded Captain Patton for the past four years. He has shown himself to be an extremely proficient leader of his men, a highly qualified combat-proven Marine. He has constantly pushed himself to, and, his limits beyond both in his professional and personal life. The Corps accepts Captain Patton's resignation with extreme reluctance. His re-enlistment at a future date would be welcomed without prejudice." "A review of the available service records and civilian files on Commander Patton has been conducted. Commander Patton holds a Top Secret-Nova clearance from his time of service with the Marine Corps. This clearance was re-newed upon Commander Patton's admission to Starfleet Academy. Reasons for re-newal and subsequent activities, if any, relating to Commander Patton are classified Top Secret-Galactic and are not to be revealed in this document. Suffice it to say that the loyalty of Commander Patton is under no question. He is cleared for any information, up to his security clearance level." Spouse: Shania Townsend Patton. Died in childbirth 2396. Children: George Denton Patton. Died at birth.